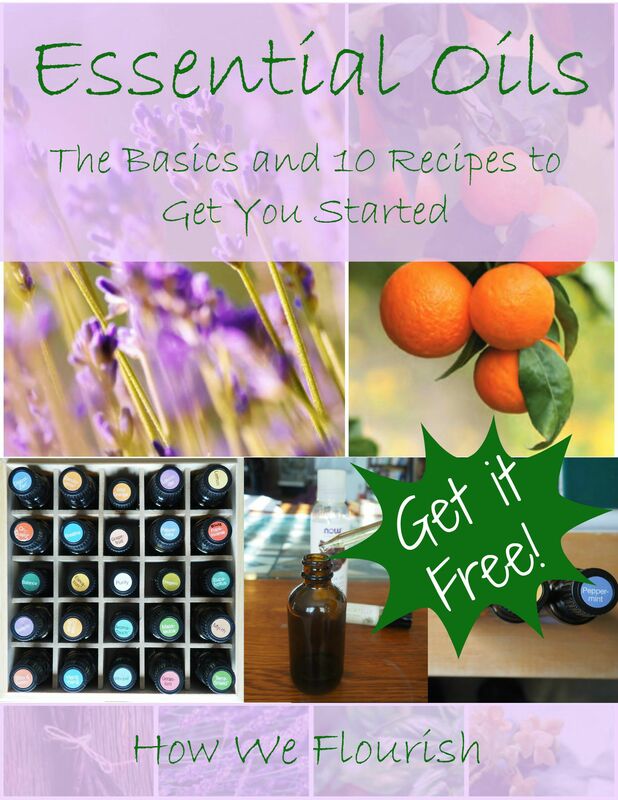 This past spring, we purchased the seeds for our garden from SeedsNow. I love this company because all their seeds are non-GMO as well as being raw, untreated, pure heirloom, non-hybridized varieties. This means you can save all your seeds from the plants you grow for next season! But anyway, while I was there, I noticed that they also sell seeds for growing sprouts. I had just finished reading The Elimination Diet, where the praise the benefits of broccoli sprouts, so I thought I would check it out. I picked up a bag of the sprouts and anxiously awaited my delivery. Remember, I was waiting for my garden seeds AND the broccoli sprouts! It was an exciting day at the mailbox. So, what’s so great about broccoli sprouts? I had never had any type of sprout before, so this was new territory to me. Cruciferous vegetables contain a compound called sulforaphane, which assists in the manufacture of antioxidant and detoxification proteins. It supports our cells as they protect our bodies from damaging chemicals such as air pollution, heavy metals, pesticides, etc. Very good news in the toxic world we live in. Broccoli sprouts are particularly high in this compound, and even have 20x the amount of sulforaphane that regular broccoli has. Check out Tom Malterre’s TEDx talk for more information about the power of broccoli. 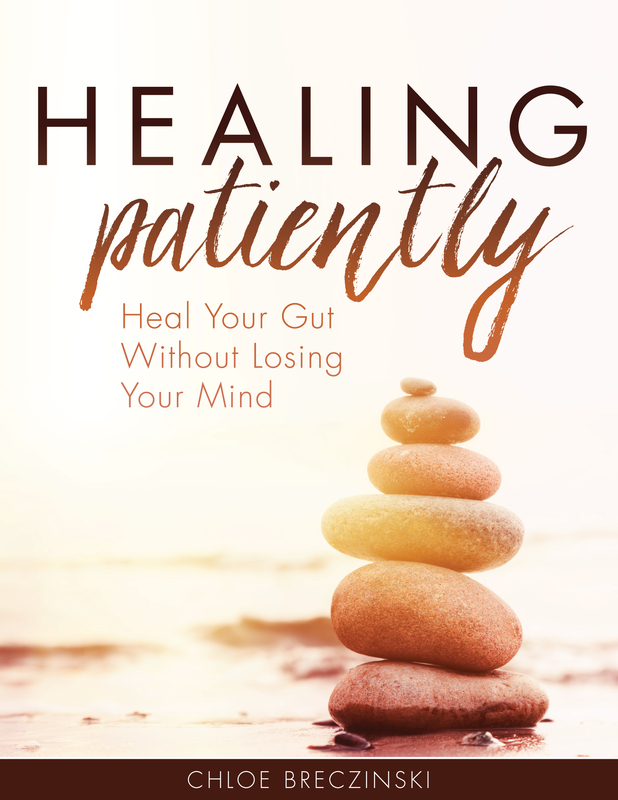 Through my GAPS experience, I realized that my body needs help supporting detoxification. Broccoli sprouts seemed like a great and tasty way to do so. 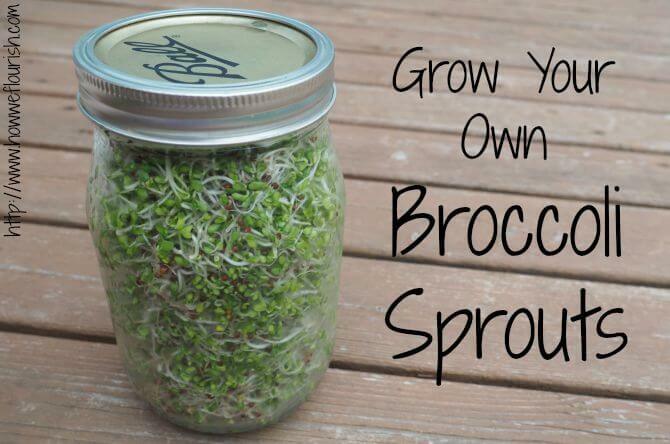 If you want to try out broccoli sprouts, the best way to do that is to grow them yourself. I have never seen them in the store. Based on the prices of the sprouts there, I’m sure that they would not be cheap if I were to find them. I was able to purchase a half cup of seeds for sprouting $5. These will turn into 4 quarts of sprouts. Plus, they are really fun to watch grow. Simple, too. 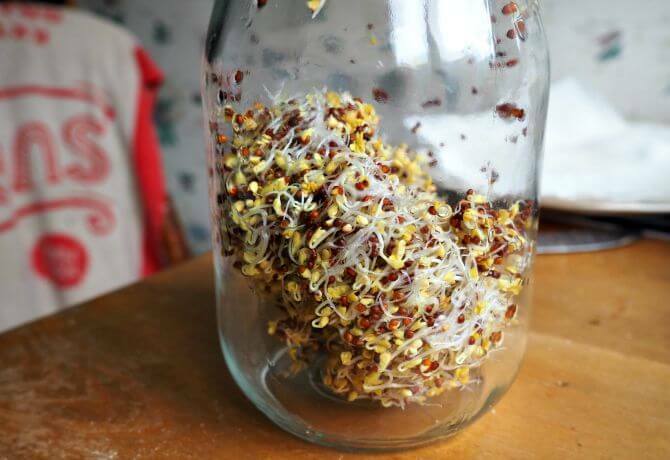 All you need are the seeds, a mason jar, and a sprouting lid. You can buy sprouting lids, but I just made one myself out of scrap I found in the house. 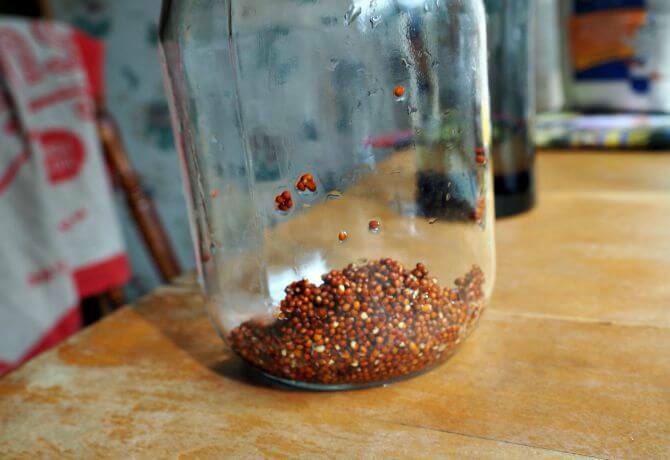 Add 2 tablespoons of broccoli sprouting seeds to a widemouthed quart jar. 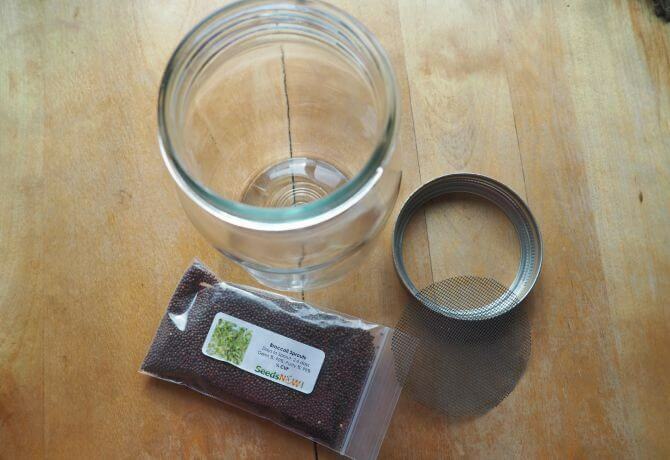 Cover with a few inches of filtered water and cap with the sprouting lid. Store in a warm, dark place overnight. I use a kitchen cabinet for this. 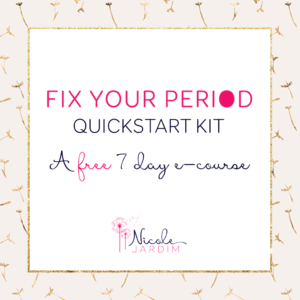 The next morning, drain the liquid off and rinse with fresh water. Be sure to drain all the water off. Repeat this 3-4 times a day. 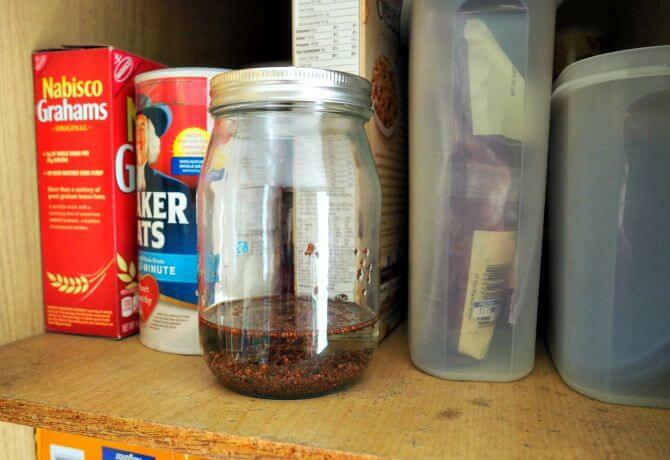 Continue to store your seeds in a warm, dark place. Day 2 – Already starting to grow! After a few days, the seeds will start to break open and grow. The biology major in me is absolutely enamored with this process! Eventually, the sprouts will be an inch or so long and have yellow leaves. Now you can move the sprouts out into the sunlight. Continue to rinse them 3-4 times a day until the leaves are dark green. Now they are ready to eat! This whole process will take about a week. 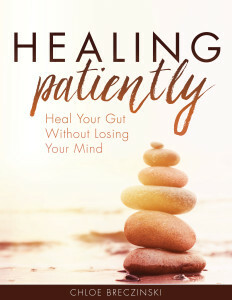 Patience is key! 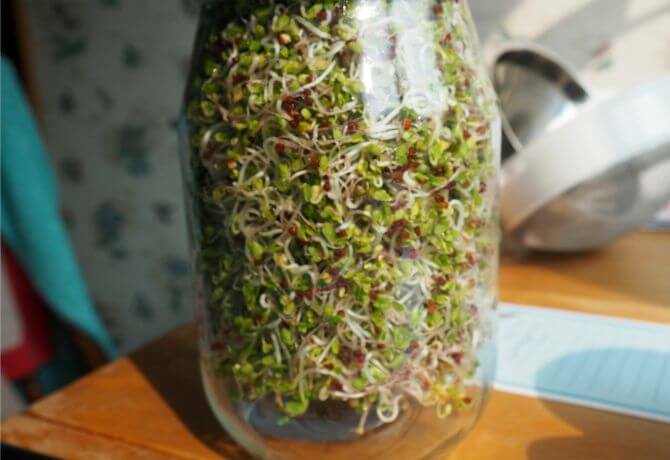 Once they are ready, replace the sprouting lid with a standard mason jar lid and store in the refrigerator. Serve on top of salads, stirred into soups, or however strikes your fancy. They have almost a spicy flavor, so I really enjoy it in my Lentil Stew or my Chicken Curry Soup. 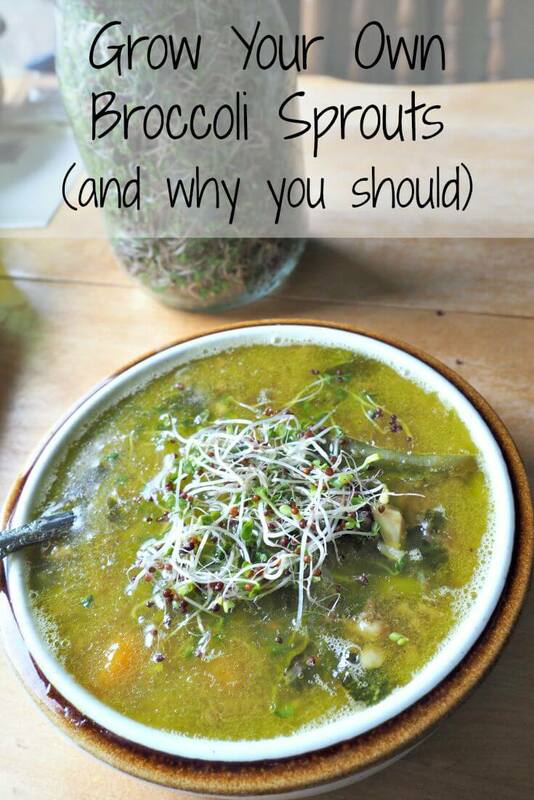 If you are the only one eating your sprouts, you may want to make smaller batches. The same process will work just fine in a pint sized jar. If you don’t eat them fast enough, they get kinda slimy. The sprouts will hold up for a week or two in the refrigerator. 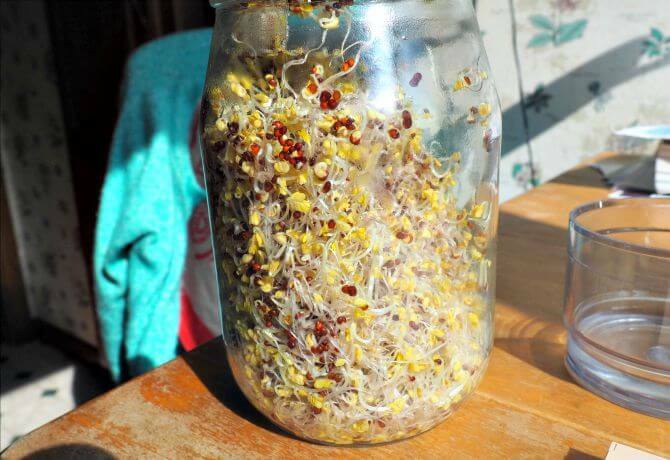 Have you ever tried growing broccoli sprouts? Shared on AIP Recipe Roundtable and Allergy Free Thursdays. Where do you buy the seeds? I buy them from Seeds Now, which is linked to in the post. Hi my first time trying this on day 4 now going to take the jar out of it’s cupboard tomorrow to green up. However looks like only half of my seeds have germinated any idea why / tips for my next batch? I love growing sprouts. I sprouted my beans too. Hi Chloe. I featured this recipe as one of my favorites at this week’s Paleo AIP Recipe Roundtable. I’m totally going to try sprouting myself. Thanks for linking up! I have done the sprouting thing with radishes and broccoli. I get the seeds off of Ebay. 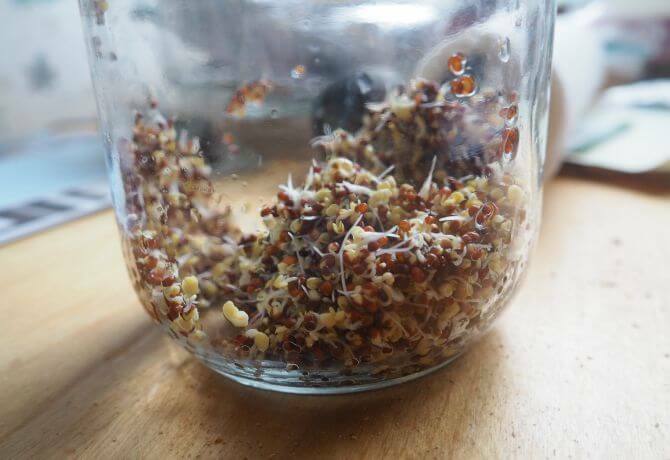 I am a gardener (as you can see from this blog post https://krystalbrownblog.wordpress.com/2015/10/12/adventures-in-gardening/ ), but I have had more success with sprouting! Can you grow these during winter? We really don’t get much sun so I wasn’t sure if it would work. I haven’t tried in winter, but since all but the last 24 hours are grown in the dark, I see no reason why it wouldn’t work. in, just might take a tad longer. Why do you need to grow them in the dark? Sprouts can’t use light until they have leaves, and direct light can damage the sprouts by drying them or “cooking” them, so it is safer to keep them in the dark until they are ready to turn green. I wasn’t sure if broccoli sprouts were AIP, as it comes from a seed. Please let me know if these are AIP compliant, as I have a huge bag of seeds in my pantry. They are AIP compliant. You are not eating the seed, but the sprout from the seed. It’s basically just a baby plant. I have a friend who sprouts seeds and she puts a piece of cheesecloth over the top of the jar and a rubber band to hold it on. Hi, thanks for the great post! 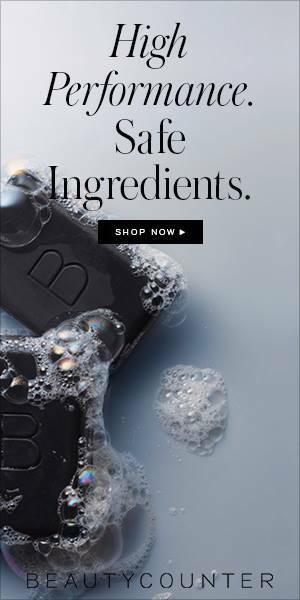 I just wanted to know if I can use tap water? I live in Sydney, Australia which has good quality tap water for drinking, it does have some chlorine and flouride in it though, so I was wondering if that could affect the sulforphane of the sprouts? Otherwise I was thinking of leaving tap water to sit over night so the chlorine evaporates out, or buying bottled mineral water. Let me know if you have any more info on this 🙂 thanks! I have not tried growing broccoli sprouts with tap water. I would recommend letting the chlorine evaporate overnight to be safe. @monica pronk, When we were doing sprouts in the 70s/80s, before we were aware of chlorine in the water, or that it might not be that great (except it does keep out lots of ickies we would not want to consume)… i used straight tap water, no ill effects, and the seeds sprouted fine. However today our water has “chloramine”, and that stuff doesn’t evaporate. 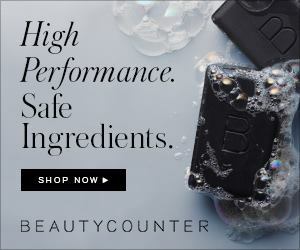 For fish tanks, they put a special additive in it to keep it from killing the fish (and it’s not going to harm “US”????) It seems sort of wasteful to use bottled water for rinsing the seeds/sprouts, but I will probably do it, and save the rinsing water in the fridge to use again for rinsing, maybe the last rinse being fresh water again. Biggest problem I have is lots of the seeds to not sprout and washing them off is a challenge. Any tips for that. Also when it is hot they don’t work well but in our Hawaii winter they do better.